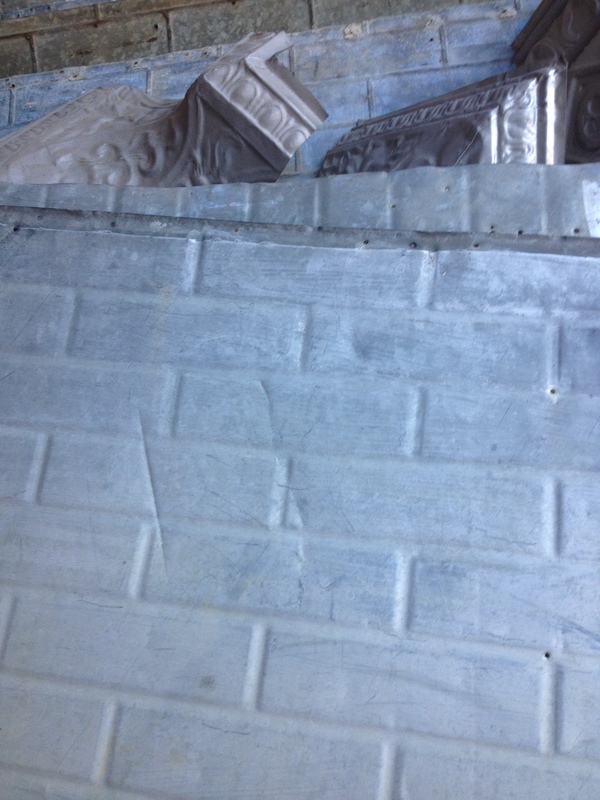 Shon and I went to a closeout sale of a local architectural salvage business and found several pieces of reclaimed tin that we plan to use when we finish our basement. Although it may be a year or two before our project begins, we are using the time wisely looking for elements to use in finishing the space. 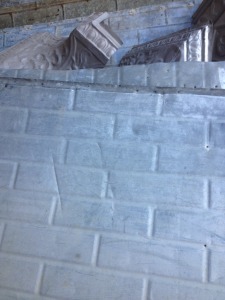 For example, the tin with a brick-like pattern will probably be used to cover a wall or two in our basement bathroom.